In honor of Mother's Day this May, this issue profiles families where "Mother" might be Grandma, where multiple generations live and parent together. We also open our hearts and listen to mothers who have lost a child, and explore what it means to be a parent after experiencing the ultimate tragedy. 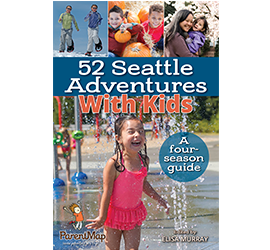 And, to keep you informed, we present you with topics like tweens and screens, emerging playtime trends, and for fun, a dip into the Seattle roller skating scene.